Nagatachō (永田町 Nagata-chō) is a district of Tokyo, Japan, located in Chiyoda Ward. 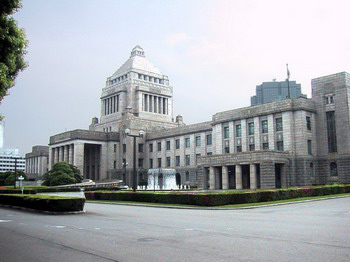 It is the location of the Diet of Japan, the Prime Minister's residence (Kantei), and the Japanese Supreme Court. Nagatachō's name is often used to refer figuratively to the Japanese government, as opposed to Kasumigaseki, the home of the administration.